Sometimes it’s too easy. Last week you could have tricked me as easily as a second grader with 52 card pick-up or a third grader with the Pen 15 club. Maybe today’s kids are smarter (*shakes fist*) but back in the day, it was tough on the mean streets of suburban Michigan. You had to be ready. But last week you could have tricked me. “What grape is in Prosecco?” Hmmmm… ummm… not really sure, maybe, some obscure Italian one? Bzzzz – wrong. 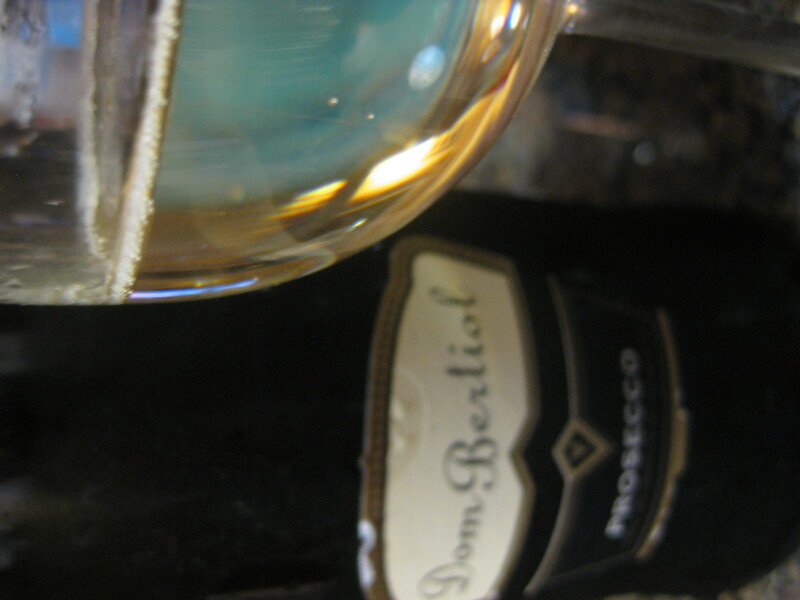 Turns out Prosecco is made from… (wait for it)… Prosecco. Color me incredulous but wow, that’s just too easy. The Prosecco I thought I knew was this bubbly Italian wine that’s cheaper than Champagne, more straight-laced than Cava and loads up on the bite for winos (like me) who love the green apple tart. Prosecco’s the ultimate party gift – tasteful in every large gathering of humans (except the funeral). Even then, maybe you read the obituary with great pleasure. Sneak in a flask. Come last week though, it was birthday time. And the Señores Zapatos indulged, bringing with them a bottle of this obscure, never before known grape called — Prosecco. Sadly, we drank it almost before the sun left the balcony and another bottle is the one featured above. 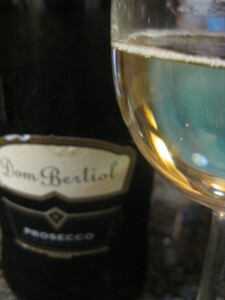 But about Prosecco and the fizzy, citrus-intense wine it produces. Up until 2009, you could go around calling the grape “Prosecco” to your hearts content and Europeans wouldn’t mind – they’d just think you were talking to yourself. Today, they mind. In 2009, Prosecco got a make-over in the Joan Rivers kinda way, going from a lovely classic figure to a mildly frightening Joker. 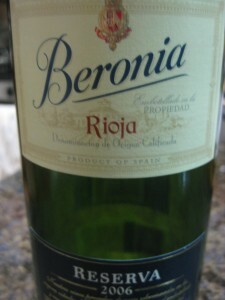 Now, Europeans call it Glera, something more akin to paint thinner than a white grape that makes terrific bubbly wines. Fortunately, this blog isn’t subject to the whims of the EU or cosmetic beauty, and Prosecco still reigns as the name of the grape as it has since last Saturday when this wino discovered that the Pen 15 club is not an exclusive third grade club. In fact, 52% of the world at birth belongs to this “exclusive” club. 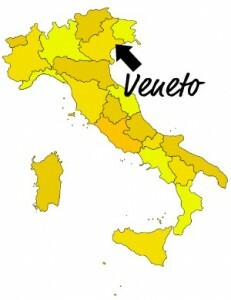 Knowledge is power Reading Rainbow followers – Prosecco, Italy’s Pen 15 club. Clean, crisp, green apples, white flowers – pretty much what you’re expecting when you head into a store looking for a Prosecco for your next wedding/birthday/Tuesday/Thanksgiving/quinceañera. Ok, don’t bring it to the quinceañera – even the kids know that uncle’s not cool. * Age Prosecco and shame yourself – this wine’s for drinking and drinking young. * One bottle for $20 or two bottles for $10 – those are your choices when drinking Prosecco. * Bellini? Mimosa? You’re drinking Prosecco. Only the chef gets champagne in her Mimosa. Nobody gets champagne in a Bellini – that one’s always Prosecco. Saturday was my birthday and nearly all of the gifts came in bottle form. 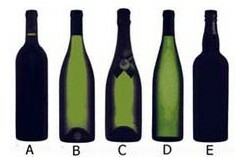 Sidebar: ever notice how many different shapes bottles come in? Turns out the bottle tells you all kinds of things about the wine. Try identifying where the five bottles above come from (hint: none of them are verdejo. also, my hints are worthless). Check out this link for the answers (and that cool image). But yes, friends and relatives were kinda amazing about the wine this weekend. Most of them were too good to make it through the night and have already metamorphed into bygone memories of summer yore. Some are still sitting in my cellar (better known as the storage cage in the basement), ready for their day at making memories. One bottle even contained a grape not yet on this blog – Verdejo. Spanish as the word Seleño, pasty white in color and with sarcastic minerality, this is Verdejo. It’s the heart of Spain, both in location (from center left on the medical coloring book of Spain’s body – Castile y Leon) and in history (castellaño, another way to say español, comes from the Castile y Leon King who conquered Spain and came up with that weird lispy way of speaking). h/t wineonhigh for the image. Verdejo used to be made into fortified wine, sorta nutty like a sherry, but at a fraction of the price. There it remained for over a thousand years until the 1970s when wine-making powerhouse Marqués de Riscal started experimenting with white wine up in the mountains. Results have been really good according to the (three) people I’ve spoken with who had heard of Verdejo. Count me in as #4 for liking this wine. Tried this one twice – once after “tasting” many other wines, once the next day when actually focusing. what I got between those two was pretty fragrant smell (lost some on day 2), big peach taste with full rounded mouth, medium acidity and stony taste. Big enough that your mom will like it, acid enough that your wino brother will too. Bring to family events. * Verdejo is harvested at night, by vampires. Part of that statement is true. * North Africa is Verdejo’s true home, pre-11th century when it came to Rueda. * V is for Value, not just Verdejo. $10-15 for almost everything on the market. Montsant is a term to remember. Regal, saintly, the word screams castle on a hilltop. Funny that it’s actually more like the moat around the castle, despite the term that sounds a lot like a Mountain-Saint hybrid. The true mountain of this part of Spain (Catalonia – home to Barcelona and Cava) is Priorat, a region famous for amazing red wines. 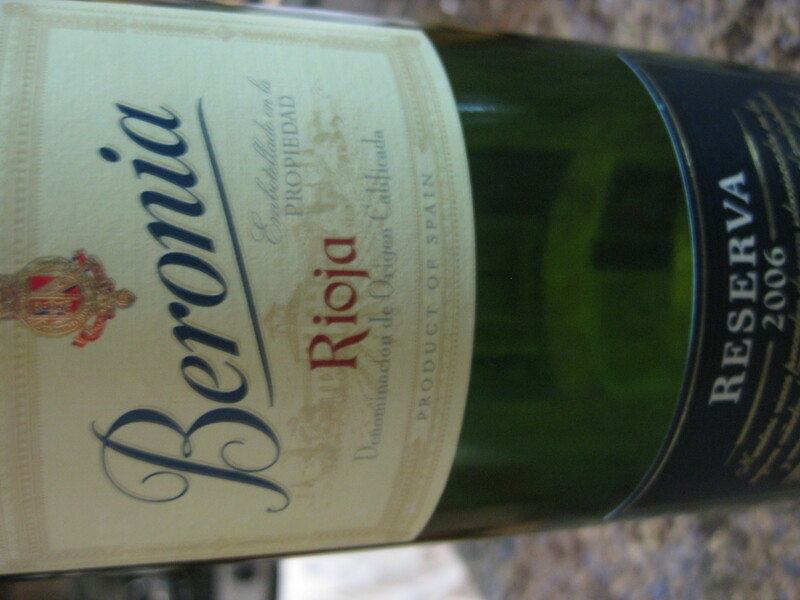 You’ve heard of Rioja? This is the ONLY other region in all of Spain with a DOCa – translated as Awesome Wine Region. 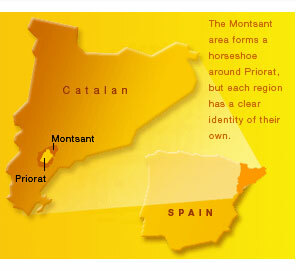 Montsant though is the entire region that surrounds the Priorat castle on the hilltop. Same grapes, less $$$. When you find the bottle, buy the bottle since it’s pretty under the radar and it’s the rare find on the shelves. These guys seem intent on making it more available so h/t not just for the map, but for the work they’re doing. Syrah is the majority contributor to this wine so its name shows up as Grape #41, although Garnacha throws its 45% into the barrel too. Pretty typical blend from this part of Catalonia even thought the traditional mix had a lot more Garnacha and a lot less of the other. We Anglos in particular have a love for Syrah. Actually, it’s more a love for Shiraz, which sounds less French and more Australian. Same grape but more crocodiles. Australia turns out ridiculous amounts of Shiraz, puts a Yellow Tail label on it, and sells it to supermarkets in the US and Britain. They’re been doing this gig this the 1980s and it’s still not old. Sorta like Phantom of the Opera on Broadway, it hangs on for decades because it’s just that loved. Expect the infatuation to continue. Yes, Australia puts out high-end ridiculously delicious Barossa Shiraz and France has really smooth, silky Syrahs going back centuries but it’s hard to look past the Yellow Tail kangaroo staring at us in the face. If someone had put a Yellow Tail crocodile on our shelves, you better believe we’d buy that too. We bought those crazy tennis shirts back in the day with the crocodile and those were French tennis shirts… with collars. Clearly we’re obsessed. Seven of us dinner-goers tried this bottle (and ordered a second since one glass wasn’t enough) at Landmarc, known mostly for outdoor seating and less of a wine mark-up than most restaurants. Surprisingly for a large group, everyone loved this wine. And people had ordered fish, chicken and burgers. Not exactly the easiest food to match a wine to – but all seven of us came away impressed. “Chalky” and “dark” were the two words I heard the most at the table, although truth be told, we were talking lots more about everything else and very little about the wine. Other reviewers who actually paid attention add in “blueberries” and “mineral” to their descriptions and they probably thought a lot more about their descriptions. Really though, it’s a fun wine and clearly a crowd-pleaser. 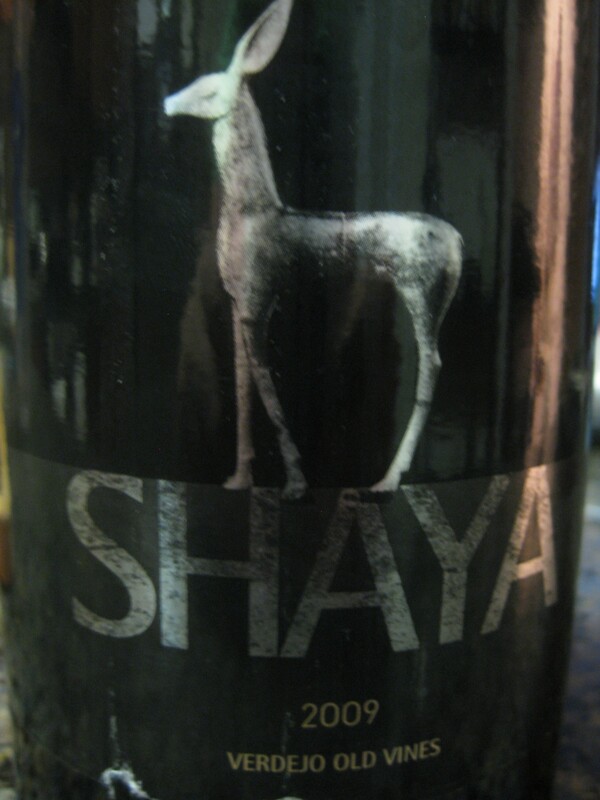 * Syrah is pronounced by the pretentious and the French (especially in SE France where’s it’s famous) as si-hah. The rest of us call it Sir-Ah. * Shiraz is Australia’s name for the grape, which is also a city in Iran. Shiraz’s Ur-story anyone? 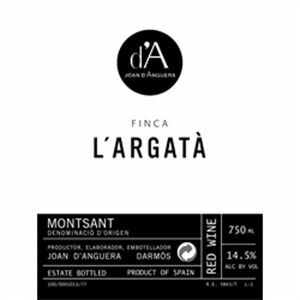 * Spain uses it mostly as a blending wine with Spanish grapes – Montsant and Jumilla both use it in their blends and both regions make great wine at prices mortals can purchase. Sometimes it’s good to have friends. Sure, there are all kinds of benefits that come with friends. You enjoy life more, you live longer, and you get to try more dishes at large-group gatherings. On top of all that, sometimes your friends introduce you new wine grapes. Definitely not at the top of the list, but a cherished benefit nonetheless. Godello is the grape that came out of Saturday’s gathering of friends. Mr. Reebok had just finished the third (and last!) of the grueling CFA exams and was being reawakened to the joys of everyday life. Out of the fridge of Miguel Seleño came the Godello, along with an acclamation that it’s what Albariño was a few years ago. I took that to mean: a) acidic, b) unknown outside the die-hard wino world and c) white wine. True on all accounts but also: d) from Spain, e) from NW Spain (Galicia) and f) from one of the five named wine growing regions in Galicia. 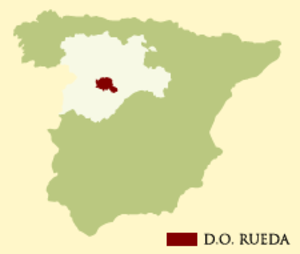 The Spanish system of identifying grape growing regions involves the D.O. (denominación de origen), and Galicia has 5 of the 69 Spanish D.O. wine regions (click through for a great PDF map of all 69). Albariño generally comes from Rías Baixas (the western-most D.O. in all of Spain) and Godello generally comes from Monterrei (right on the border with Portugal) or Valdeorras (where Godello is the only authorized white grape). 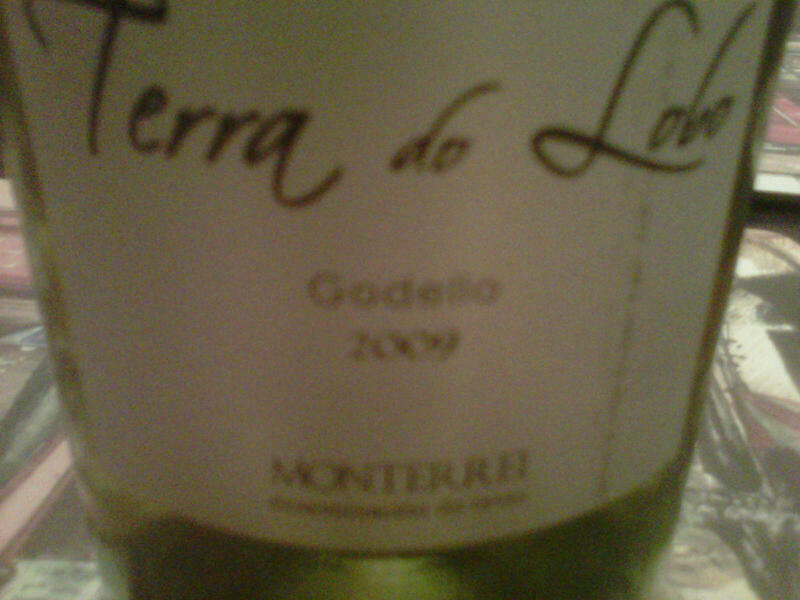 My impression based on exactly one bottle of Godello is that it’s really similar to Vinho Verde but somewhat sweeter. Lots of acidity, lots of citrus (lime mostly, but some grapefruit and lemon too) and some green apples. Godello screams summer, seafood and beach sand. * Galicia’s five D.O. regions are: 1) Rias Baixas (albarino), 2) Ribeiro, 3) Ribeira Sacra, 4) Monterrei (godello), and 5) Valdeorras (godello). * Terra do Lobo = Land of the Wolf. Probably the reason they have a picture of a moon on the label too – perfect wine to bring to your Twilight party. Go Team Jacob. Tempranillo rules Spain like it owns a Barza jersey and answers to Messi, there’s no disputing that. But behind Messi is a whole team of supporting grapes that make Tempranillo what it is. Two of those grapes are Mazuelo and Graciano, little known grapes who tend to shy from the spotlight but set up Tempranillo for the MVP Award when it counts. Personally, I missed the Barza (3) – Manchester (1) final where Messi won his MVP and Spain erupted in a fit of hysteria not seen since oh… the EXACT same thing happened two years ago when Barza defeated Manchester for the final. Fortunately, my brother arrived direct from Spain with a bottle under his arm (and another stashed in his suitcase), with stories of Spanish victories, appropriate wine intake levels and early morning Fellini-esque tales of Spanish celebrations. Mazuelo is the more famous of the two, although it’s only the Spanish who call it that. The rest of Europe calls it “Carignan” and knows it as the grape from the cheaper parts of France that led to the famous “wine lake.” Not sure how “wine lake” came to mean a bad thing since it seems like an amazing faun-centric scene from Fantasia, but France managed to make “wine lake” a bad thing. They produced way more than France (or anyone else) could consume and had to turn hundreds of millions of bottles of wine into industrial alcohol. Surely a faun is crying somewhere. Graciano grows pretty much only in La Rioja, with some outposts around the world. Mostly, it’s used as the muscle in the body-building world of Old Wines (Reserva and Gran Reserva under the Spanish system). Spain used to consider Graciano a key ingredient in Rioja wines but it’s a hard grape to grow and it’s not as common to find as it once was back in the yesteryears of the 1970s. That said, the grape is coming back and even some entire bottles are now made from 100% Graciano. Mostly though, it remains a blending wine to ensure that Tempranillo has staying power and will be running around Barza’s field for decades to come.